Sheryl Evans Davis is the Executive Director of the San Francisco Human Rights Commission (HRC). Director Davis previously served as Commissioner between 2011 and 2016, including a tenure as Vice Chair of the Commission. Prior to joining the HRC, Director Davis was Executive Director of Collective Impact, a community-based organization in the Western Addition neighborhood of San Francisco. As Executive Director, she oversaw Mo’MAGIC, Magic Zone, and the Ella Hill Hutch Community Center. Mo’MAGIC, a collaborative of non-profit organizations, addresses challenges facing low-income children, youth and families in the areas of economic development, community health, and violence prevention. Magic Zone provides education and wraparound services to K-12 students and transitional aged youth. The Ella Hill Hutch Community Center provides community-building services and workforce development opportunities to neighborhood residents. 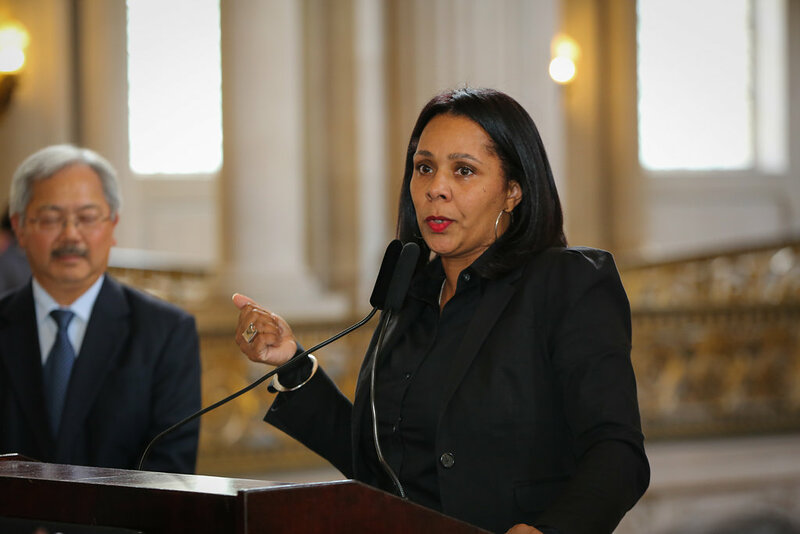 During her tenure at Collective Impact, Director Davis forged private and public sector partnerships to provide critical health and social services to historically underserved communities across San Francisco. Director Davis has also served on the SFPD Fair & Impartial Policing and Community Policing Advisory Committees, Fillmore Community Benefits District, and Redevelopment Agency's Western Addition Citizen Advisory Committee. She holds a BA degree from San Francisco State University and Master's in Public Administration from the University of San Francisco.